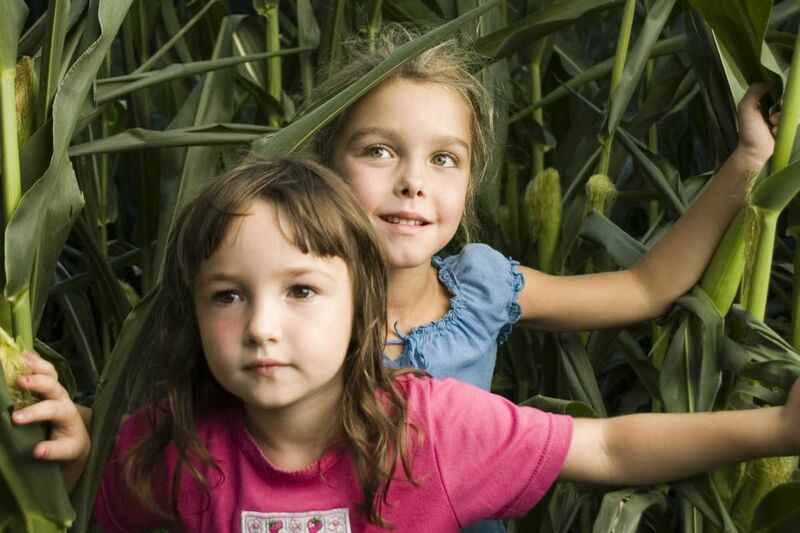 Children navigate a corn maze. Although the city is perfect for grabbing pumpkin-spice lattes and shopping for cozy fall sweaters, there's nothing like navigating a cornfield maze to celebrate fall. The farm hosts its annual Fall Harvest Festival with more than 35 activities spread across 18 acres. In addition to a five-acre corn maze, the festival includes a free farmers' market, hayrides, pumpkin rolling, and a one-acre junior corn maze. On Friday and Saturday nights, the farm hosts a bring-your-own-flashlight corn maze and moonlight hayride. The Fall Harvest Festival is "totally nonscary," said co-owner Paul Hellerick. The farm, owned by the Hellericks since 1870, aims to be a "true family-run business." 10 a.m. to 6 p.m. through Oct. 31, Hellerick's Family Farm, 5500 N. Easton Rd., Doylestown. $9.49 (Monday-Friday), $8 (Friday and Saturday nights), $12.49 (Saturday-Sunday), 215-766-8388. The museum's maze, for the first time, will be nine feet high (three bales), said Hildy Tow, Woodmere's curator of education, and was built from 82 3-by-4-foot bales of wheat straw. Each year, the maze is designed with the Chestnut Hill Harry Potter Festival in mind, to take place Oct. 21-22. This year, Tow said, the designers were inspired by the Ministry of Magic, the fictional government of the wizarding world in J.K. Rowling's popular series. "For the first time, instead of being open, it's much more about tunnels and secret places and finding your way in the interior." The museum will also host a costume parade at 2 p.m. Oct. 30 at the maze, with music by the Springfield Township High School Spartan Pep Band. 10 a.m.-6 p.m. Saturday through Oct. 29, 10 a.m.-5 p.m. Sunday through Oct. 30, Woodmere Art Museum, 9201 Germantown Ave., $8, 215-247-0476. Linvilla offers two different mazes: a three-acre corn maze and a straw-bale maze. Both are redone each season for a new puzzle-solving experience. Special events include a performance from 1 to 3 p.m. Sunday by the South Philadelphia String Band and wine tastings Oct. 22 and 23 with guest Blue Mountain Winery. 11 a.m.-5 p.m. Monday-Friday, 10 a.m.-5 p.m. Saturday & Sunday, through Nov. 6, Linvilla Orchards, 137 W. Knowlton Rd., Media. $4-$7, 610-876-7116. The working dairy farm is hosting a cow-themed corn maze, where some guests may choose to wander through the five-acre maze, while others looking for a challenge can search throughout for trivia questions about cows. The farm also hosts a moonlight maze Friday and Saturday evenings. There's a man-made cornstalk tunnel for younger visitors, although, co-owner Donna Quigley said, it's challenging enough for adults, too. 11 a.m.-5 p.m. Saturday, noon-5 p.m. Sunday, Merrymead Farm, 2222 S. Valley Forge Rd., Lansdale. $12, 610-584-4410. This year, Exley's Landscape Service has expanded its fall corn maze to include a scavenger hunt and popcorn picking. Guests can also pick pumpkins, take a hayride through the Christmas tree farm, even pretag the perfect tree for Christmas. 10 a.m.-5 p.m., Saturday and Sunday through Oct. 30, Exley's Landscape Service, 1512 Monroeville Rd., Monroeville. 856-468-5949. Each year, said co-owner John Ebert, young people who work at the farm are asked to brainstorm ideas for corn-maze themes specific to the South Jersey area. This year, they chose the "Native American Experience." Pictures, clues, and games hidden in the maze will teach visitors about the history, beliefs, and traditions of the Lenape Nation. 10 a.m.-4 p.m. Saturday and Sunday through Nov. 6, Springdale Farms, 1638 Springdale Rd., Cherry Hill. $10 (adults), $8.50 (children), 856-424-8674.